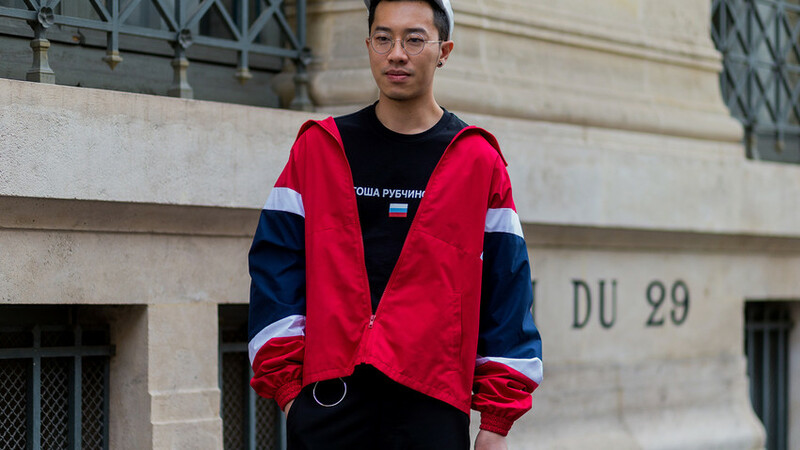 A guest wearing Gosha Rubchinskiy shirt and a red jacket outside Maison Margiela during the Paris Fashion Week Menswear Spring/Summer 2017. The Russian fashionista’s creations will be lighting up the World Cup this summer. 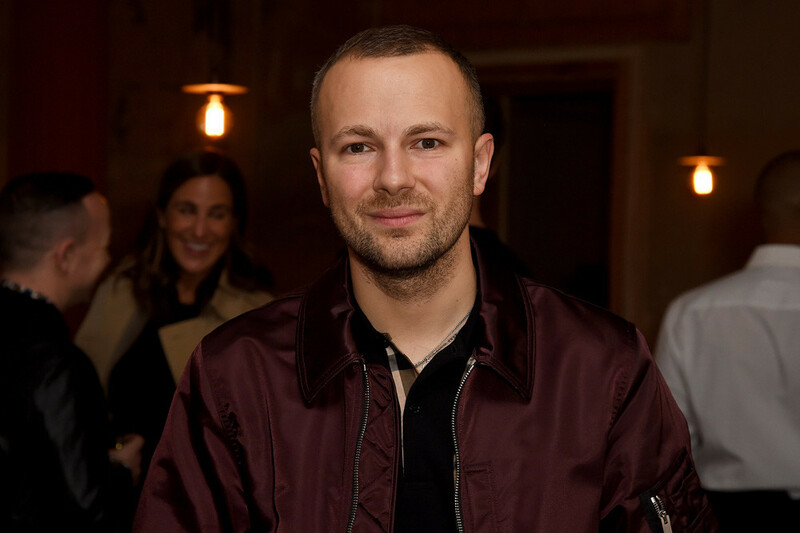 Today Gosha Rubchinskiy is the most famous Russian designer in the world. His clothes with Cyrillic writing are worn by Hollywood actors and hip-hop stars, as well as trendy kids, skaters, and football fans from poor urban neighborhoods. Gosha Rubchinskiy attends the private view of Burberry's 'Here We Are' exhibition, September 2017, London. He was born in Moscow in 1984, studied at a technology and design college, worked as a hairdresser, and then as a fashion stylist. In 2008 he showed his first collection of clothes at Moscow’s Sokolniki Stadium, having replaced professional models with skater friends and guys he literally met on the street. The show was a sensation in the Russian fashion world. While some called his clothes “a breath of fresh air,” others could not understand why plain sweatshirts and T-shirts with writing were being presented as designer clothes. But at the next show, part of the Cycle & Seasons by Master Card project in Moscow, Gosha was noticed by foreign journalists and buyers. However, financial success did not come right away. For the first couple of years he had problems with production and even stopped releasing entire collections, instead striving to make it as a professional photographer. But by chance Gosha met Adrian Joffe, husband of famous fashion designer Rei Kawabubo head of Homme Des Garcons. Adrian was so impressed by Rubchinskiy’s “courtyard” aesthetic that he asked him to collaborate in a project in which Comme Des Garcons would be responsible for the young brand’s production, sales, and marketing, while Rubchinskiy would concentrate solely on creativity. The union between experience-money and talent-vision was extremely successful. Today the Gosha Rubchinskiy brand is sold in dozens of boutiques all over the world and collaborates with large producers. The authoritative Business of Fashion listed the Russian designer among the 500 most influential people in the fashion world. 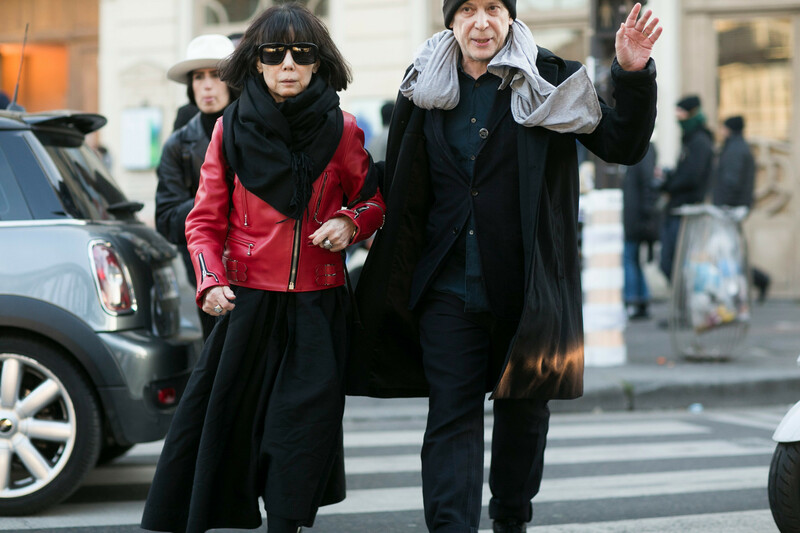 Rei Kawakubo, Comme des Garcons creative director, and Adrian Joffe, Dover Street Market and Comme des Garcons presiden, exit the Gosha Rubchinskiy show on Jan. 21, 2016 in Paris, France. In his shows today, Rubchinskiy often presents the results of his collaboration with other famous brands, which are basically lining up for the Russian fashion designer. These projects are advantageous for both sides. Gosha and Comme Des Garcons receive money and opportunities from the big brands, which in return obtain fresh design ideas, a young audience, and a part of the hype that surrounds everything the talented Muscovite does. 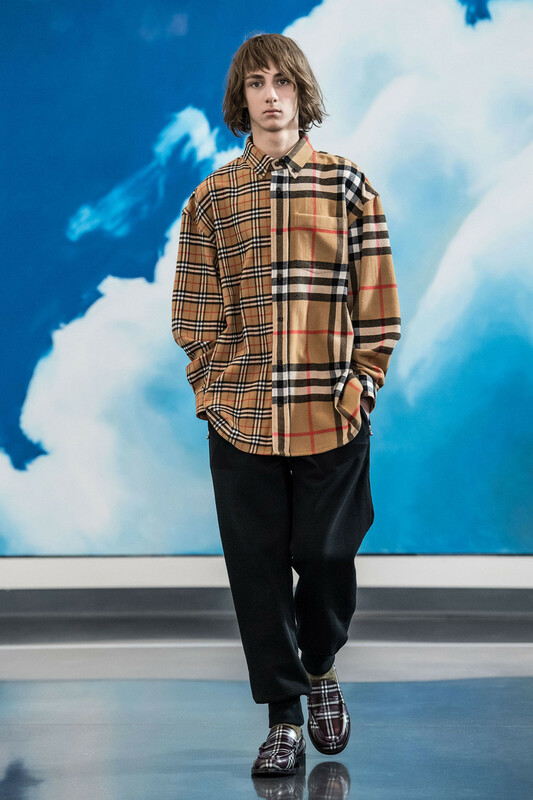 For example, during a recent show in Yekaterinburg Rubchinskiy exhibited the continuation of his joint work with Burberry. Gosha is trying to “rehabilitate” their famous checkers after the brand’s unexpected popularity among the working class and football hooligans. Another British brand to have worked with Rubchinskiy was Dr. Martens. The Muscovite decided to make the cult shoes white and as a result many fashion magazines put them on their most desired purchase list. Rubchinskiy’s collaboration with jeans giant Levi’s is also ongoing. The designer created jeans and jackets sewn from denim patches of various colors, which is another reference to the fashion of the post-Soviet Russia of the 1990s. Rubchinskiy cultivates the aesthetic of that period. Gosha Rubchinskiy for Levi’s and Dr. Martens. For the last several years Gosha has been collaborating with Adidas, sponsor of the World Cup, which this year will take place in Russia. 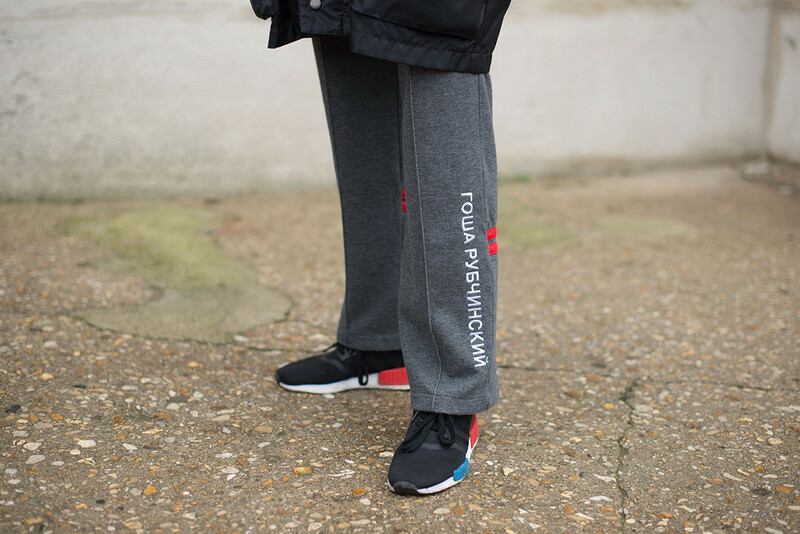 Recently Rubchinskiy created three new collections with the German giant. All three were shown in the cities that will host football matches: Kaliningrad, St. Petersburg, and Yekaterinburg. With these provincial catwalks the designer wanted to the show the authoritative foreigners from the fashion industry that Russia has something to offer beyond Moscow. Leah Angeles poses wearing Gosha Rubchinskiy pants and Adidas shoes after the Maison Margiela show at the Grand Palais during Paris Fashion Week Womenswear FW 17/18. 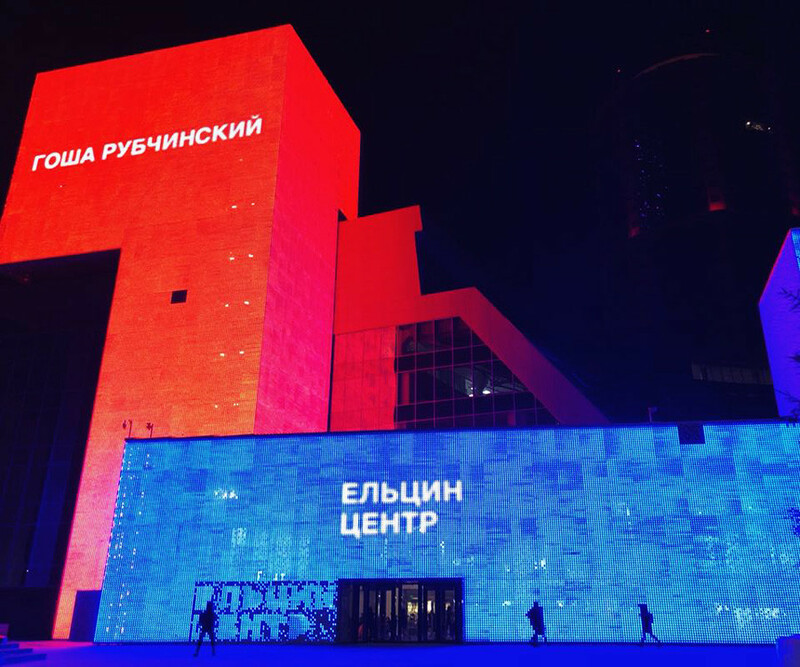 The last show from the trilogy took place in Yekaterinburg, at the Yeltsin Center, the multimedia museum dedicated to Russia’s first president. It was a symbolic gesture, since the external aspect of the Russian man during Yeltsin’s tenure is one of the sources for Rubchinskiy’s inspiration. During the show the Yeltsin Center skyscraper turned red and the Gosha Rubchinskiy logo could be seen from across the city. The models freely moved about the museum and chatted with the viewers. 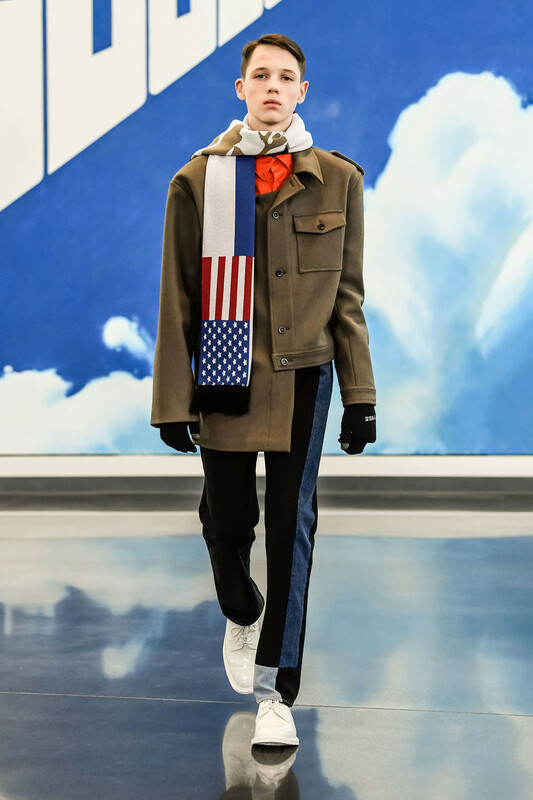 Critics noted that the collection, which actively uses camouflage print and the flags of various countries, and the choice of the show’s final song (Russian rock group Nautilus Pompilius’ 1990s hit “Goodbye America”) is the designer’s reaction to the current confrontation between Russia and the West.